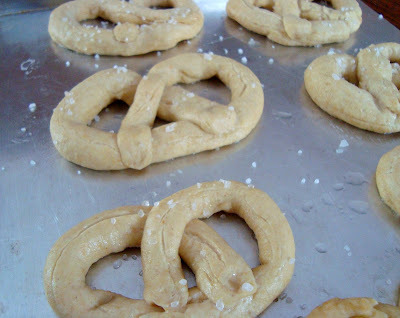 Have you ever baked your own soft and chewy pretzels? They smell so good coming out of the oven... they're also fun and easy. This was our activity on Saturday morning, when the temperature plummeted outside, and we needed something exciting to keep us from getting cabin fever. 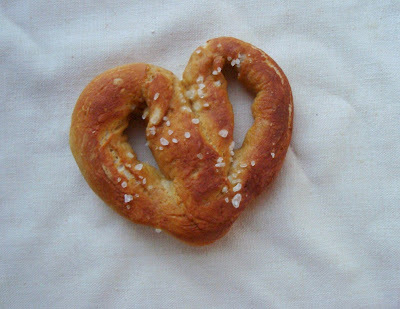 After we shaped the last one, I had a light bulb moment... heart shaped pretzels! What a great new twist for Valentine's Day. I went back and re-shaped mine... the children had worked far too hard on theirs for me to touch them. I'm loving the idea of making another batch to give out on Valentine's Day. There is so much chocolate and sugar this time of year. I'm happy to have figured out an alternative. My entire family flipped out over these. Hurray! Knead until the dough loses its stickiness. Let in rise in a covered and oiled bowl until doubled in sized. Punch down and divide into 12-14 pieces. Roll into 18 inch snakes with tapered ends. 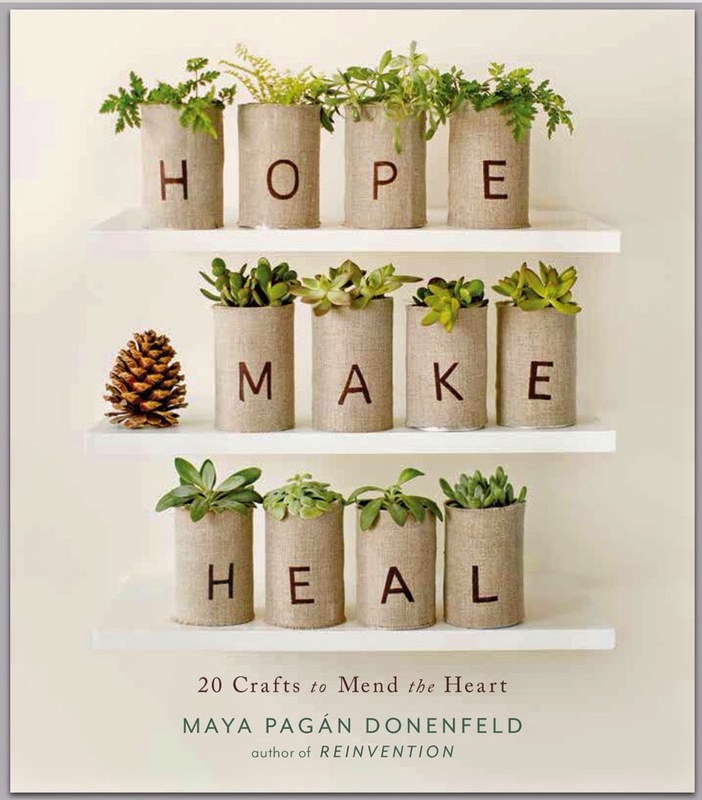 Loop into traditional shapes, or hearts, letters, numbers... the possibilities are endless. Place on a greased baking sheet and let rise until almost doubled in size again. Preheat the oven to 475 degrees. Here comes another exciting step. Bring a pot filled with 4 cups of water to a boil. Carefully add 5 teaspoons of baking soda. We loved watching each spoonful fizz as it went in. Don't use an aluminum pan for this step. Carefully lower the pretzels into the water for one minute or until they float to the top. Remove with a slotted spoon and return to baking sheet. Sprinkle with coarse salt. Bake until golden. These pretzels are incredible hot out of the oven, but should keep well for several days in an airtight container. I figured on having snack time covered for a couple of days... but this batch is almost gone! I've always wanted to try homemade pretzels! Now, thanks to you, it seems so much more friendly, LOL! 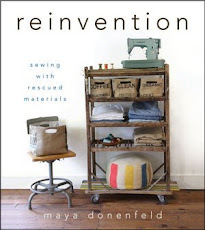 I absolutely love the idea of making and sharing this (esp. with heart shapes) rather than sweets this Valentine's Day. What a fun idea! Thanks. I'm having a Valentine's party for little girls and if I had the dough made ahead of time, that would be a great addition to the afternoon. Yummie - that looks tasty!Thanx for the recepie. How timely! My husband just mentioned wanting to make these a couple of days ago, and now we have a recipe! Thanks, we'll probably do this this week! Oh, I so am going to try these. Thanks! What? 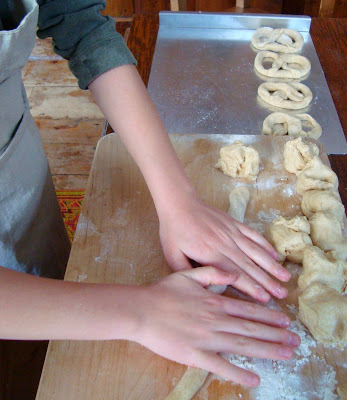 You can make pretzels at home?!!! I think I may try these, they look yummy! These look great! About how long do you bake them? this is so timely! my kids were just asking how pretzels were made. we looked them up in the cookbook and i meant to make them this weekend but it slipped off the radar. thanks for the timely reminder! we are destined to make these, i do believe! Yummy! We will have to try those. Thanks for sharing the recipe! how much water do yo uput the active yeast in? sorry if this is a dumb question I have never used yeast before. I'm so glad many of you will try these. Ours barely lasted 24 hours! Bake for about 10 minutes and use 1 cup of warm water with the yeast. We don't celebrate Valentines but these are really lovely. Oooh, Maya! These look so yummy! What a cute idea! I'm totally going to do this with my 7yr old- he'll LOVE this project. 'Nother possibly silly question... any tips for high altitude? I love Boulder, but it's hell on the bread baking process ;) Thanks for the recipe, my budding-chef 13 year old will LOVE these! Hi I'm featuring these on an article about Valentine's Gifts for Him - perfect gift for the guy who doesn't like sweets... will be up later today with a link to this recipe -thanks for the great inspiration! oh my goodness - that is adorable. what a great idea! These look positively yummy! And boy have i been in the baking mood. These are up next, I can smell them already! /these are so cool, I aam going to try them. 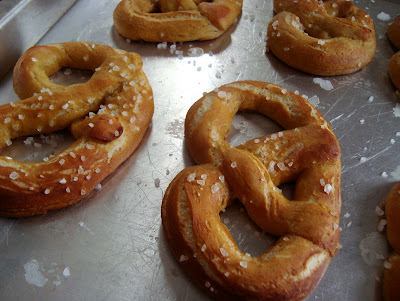 I had never eaten soft pretzels until last summer, The ones I had were sugary, how would I do that? they also had cinnamon ones which sounded yummy. 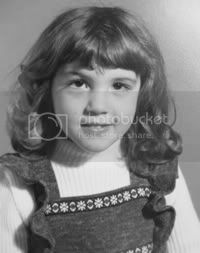 Im a sweet not salt girl :) as you can see! I made these today - so delicious! I like them with a little melted butter brushed on. Next time I'm making a double batch though, these won't last long! Thanks for this great idea; we gave you credit in our post today . . ! i didn't succeed in making these! I don't think the kind of flour made a difference. Whenever I knead bread dough I always have a little cup of flour that I sprinkle on the counter and on top of the dough to eliminate sticking to the counter. This is common bread kneading procedure, but I didn't mention it in the instructions. Hoping that's helpful. and takes care of the stickies. Thank you for this fun treat! I've had the flu all week :-( and didn't exactly get lots of my fun valentine plans accomplished for my almost-2-year-old and sweet hubby, BUT Maya saved me with these pretzels!!! I was germ-free enough to make them this morning, and everyone feels loved. Thank you for sharing! Mmmm! My pregnant tummy thinks these sound very yummy! I will have to try these! i have always been a scaredy cat of making anything with yeast! BUT, your tutorial looks so fun im gonna try it! i get so sick of all the junk the kids bring home. this is a great alternative. I've made pretzels a few times ... I can follow a recipe with the best of 'em, but I'm no baker! I was wondering if a little red food coloring in the mix would make them pink inside (for an added twist!) or would ruin them. I bet red food coloring would make the entire pretzel pink. Just a note to thank you for sharing this recipe. 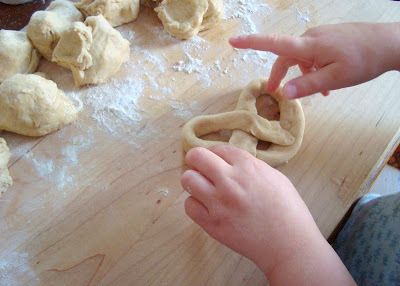 My boys loved making the pretzels and they are delicious! We're making a batch now to bring to school for snack. Thanks!